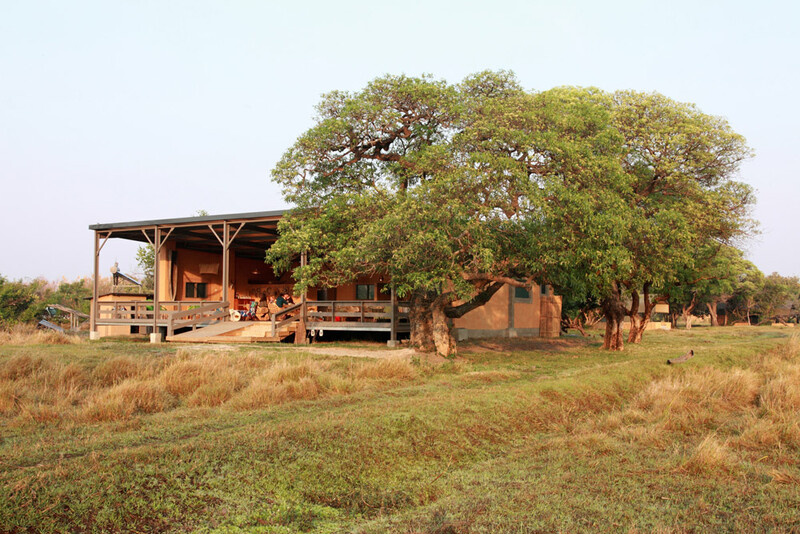 Shoebill Island Camp, situated in the Bangweulu Wetlands in Northern Zambia offers accommodation in safari tents under thatch roofs and reed cottages. 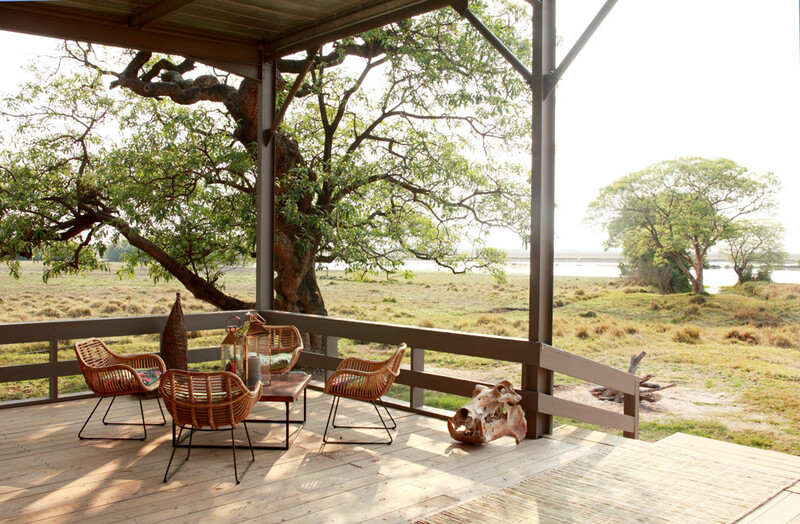 Shoebill Island Camp is perfectly positioned on the edge of the expansive Bangweulu wetlands. The camp has a front row seat to the constant activity of the swamps and surrounding flood plain. It is always alive with bird movement and the sound of thousands of lechwe sloshing through the shallow waters. The peaceful harmony of the local fisherman brings a special experience to this camp, where community conservation is crucial to the welfare of the wetlands and its wildlife, especially the iconic shoebill. Each day ends looking out at the sunset before you, and closes out what is certainly a place never to be forgotten. 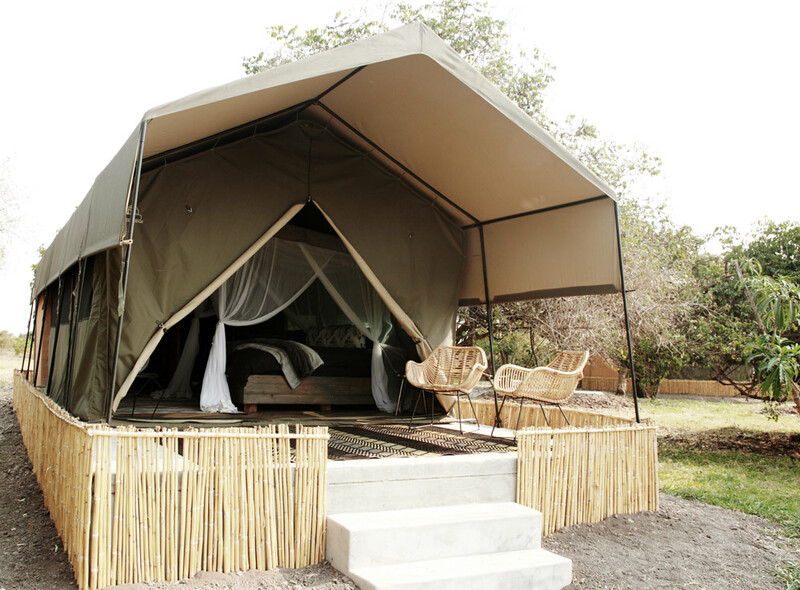 Accommodation is in four large walk-in safari tents, each en-suite, and with all the comforts necessary for a relaxing stay. Each private patio looks out to the floodplain beyond. Shoebill Island Camp is located in the Bangweulu Wetlands and is accessible by road as well as by plane. The Bangweulu Wetlands and is the best place in the world to see the mighty shoebill, especially in season. 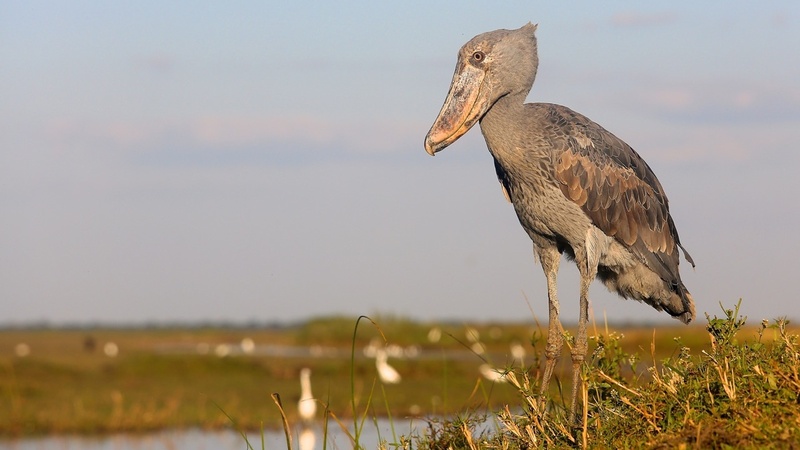 The main season is from May to August when Shoebills can usually be seen on canoe trips. September to November offer great birding (though maybe no Shoebill sightings) and the some amazing mammal spectacles. WHAT MAKES THE BANGWEULU WETLANDS SO SPECIAL? The Bangweulu Wetlands and is the best place in the world to see the mighty shoebill, especially in season. There is a staggering variety of other bird species and the major species to be sought out here from a wildlife point of view are the black lechwe which are found in their hundreds of thousands. Shoebill Island Camp is located on a small piece of high ground in amongst the Bangweulu Wetlands. 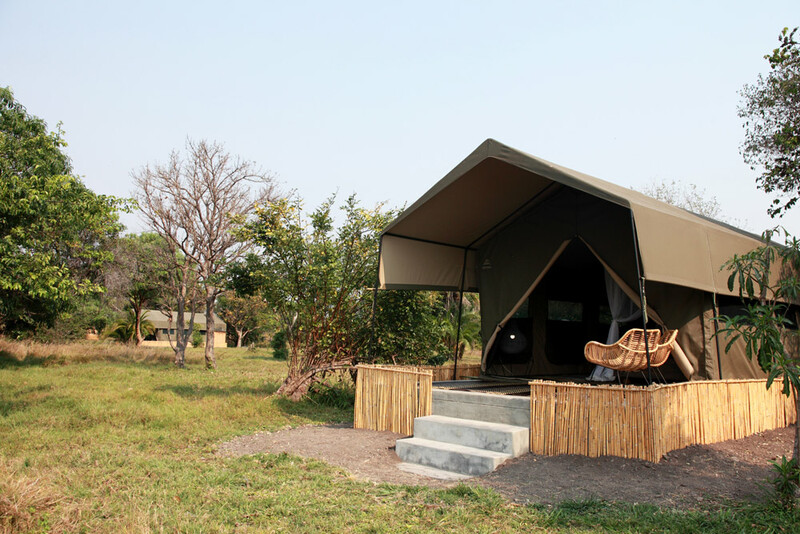 The four walk-in safari tents are on raised platforms with views across the flood plain, and direct access to excellent birding, black lechwe sightings. It is possible to walk right into the swamps virtually from your front door. Each of the four tents is simple, but just right. Recently remodeled, the camp’s tents are tastefully decorated with fresh linens and local fabrics. There is a wardrobe, sitting chair, bedside tables and mozzie net to ensure convenience and comfort. The en-suite bathroom has a rain shower, hot/cold tapped water and flush toilet. The camp’s main area opens entirely onto the flood plain, and is warmed in winter by its huge fireplace and cooled in summer by the open-air layout. Dinners are taken in the large dining room, complemented by three seating areas and a fireplace to end the day. It is here that you are hosted by the local staff, and Shoebill’s private guide Brighton. 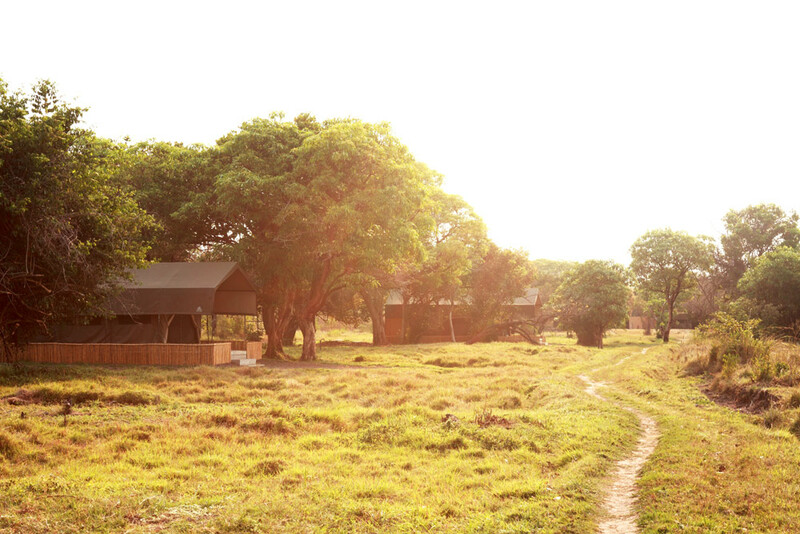 CLICK HERE for extensive pre-travel details ahead of your visit to Shoebill Island Camp. Most visitors coming from overseas choose to fly by private charter as there is an airstrip 1km from Shoebill Island Camp (S11.96800 E 030.25473). The flight from Lusaka will take you about 2hours, one hour from Mfuwe in the Luangwa, and about one hour from Ndola. If you would prefer to drive, there are two main routes to the Bangweulu Wetlands via the Great North Road. Detailed directions can be seen here. For more detailed driving directions, see here. Interested in visiting Shoebill Island Camp? Send us an email at: res@shoebillislandcamp.com or use the contact form below.